It's Sudoku, with a twist! On the surface, I am probably the worst person in the world to be reviewing a game based entirely on the worldwide newspaper puzzle phenomenon known as Sudoku. Maybe it’s my inability to work with numbers or my awful math skills, but I've never been able to finish a basic puzzle. 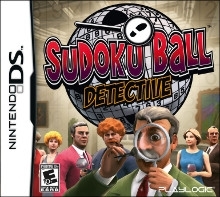 However, I decided to give Sudoku Ball Detective for the Nintendo DS the benefit of the doubt. So, is this the start of a new love affair with Sudoku, or will I be sticking with the crossword puzzle next time I grab the newspaper? For the uninitiated, Sudoku is the latest puzzle craze sweeping the globe. In Sudoku, you are presented with a 3x3 grid of large squares, each of which contains a 3x3 grid of smaller squares. Some of these small squares have numbers (from 1 to 9) filled in already. The object is to fill the boxes in each large square with numbers from 1 to 9, without repeating a number in any horizontal line, vertical line, or large square. Sudoku Ball Detective puts a slight twist on this by interconnecting six Sudoku puzzles into a ball (hence the name). It doesn’t change the nature of the game, per se, it just makes puzzles take six times longer to solve. It is really an odd choice when trying to differentiate yourself from the crowd of other Sudoku and puzzle games on the Nintendo DS when you consider all the variants on Sudoku (such as HyperSudoku) that haven’t yet been featured in a video game. The story begins (yes you read that right; there's actually a story in a Sudoku game) with the sudden death of wealthy socialite Jonathan Coleridge at his own house party. You are Sir Edward G. Bannister, retired superintendent of Scotland Yard, who takes it upon himself to solve the mystery of who exactly is responsible for the murder of his dear old friend. As you dig further, you will uncover a sordid tale of jealous ex-lovers, affairs gone wrong, and greedy business partners. It all comes together to make a decent story that feels like an expanded game of Clue. At the same time, it's a story that takes itself way too seriously for the nature of the game it is presented in. In order to solve the mystery, you will be doing what any reputable detective would do - investigate and search for clues… by playing Sudoku. The game breaks this down into four modes, (Lock Pick, Crime Scene, Laboratory and Suspect Chase). In Lock Pick you must, surprisingly enough, pick a lock by solving a certain Sudoku square in a puzzle. Crime Scene will have you using the titular Sudoku Ball to discover evidence and clues that will lead to possible suspects and breaks in the investigation. In Laboratory you must analyse the evidence discovered in a certain time period. Once you pass the time limit some numbers that you have found will be erased. The final mode, Suspect Chase, tasks you with catching up with a suspect by solving Sudoku squares with footprints stamped on, and the faster you solve them the faster you will catch your man. The game is entirely touch screen controlled - although you are given the choice to use the D-pad to rotate the Sudoku ball, the stylus is recommended. The game’s number recognition is accurate, for the most part, with one major exception being the number ‘1’. No matter how you write it, unless it’s a near perfect straight line, it will give you anything from ‘5’ to ‘8’. Last I checked my 5’s don’t look like 1’s. The Sudoku ball actually works against the game in the presentation department. Since the puzzle takes a ‘curved’ shape, the squares near the edge tend to be shrunk down to near-illegible levels, and by adding effects like to the puzzle like footsteps and an ‘old paper’ motif, it quickly becomes easy for the puzzle to become cluttered and confusing to use. The character designs seen during the cutscenes are simply atrocious, a sort of mix between smooth lines and sharp polygons that can only and harshly be described as ugly. But the biggest crime against our senses that this game commits is the music. From the moment you start the game till you turn it off, the same song will play. To call it a song is almost too flattering a term, as it’s a 15 second loop of the same low, mellow, almost jazzy beat that will have you reaching for the volume control in less time than a lemming takes to consider the value of its life. The game comes loaded with 240 Sudoku puzzles ranging from Easy, Medium to hard. 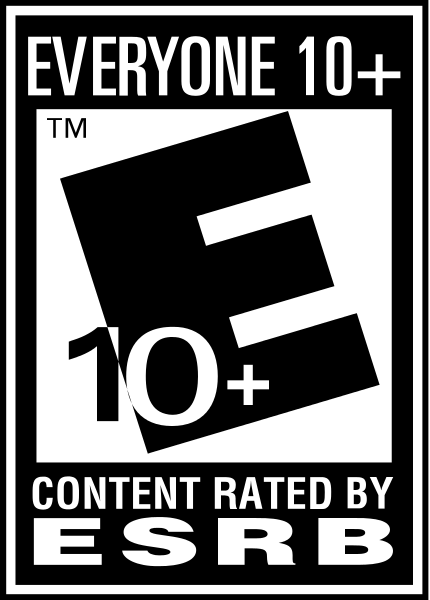 This includes the 20 puzzles in the single player campaign, the Standard mode (which is rearranged Sudoku ball puzzles), story level mode, which features different takes on the types of puzzles featured in the story mode, and finally Classic Mode which will have you solving classic Sudoku puzzles, no balls involved. The game is entirely single player with no online features such as the ability to download extra puzzles, a feature which is becoming common in other puzzle games such as the Professor Layton series. The $29.99 price tag might seem like a good deal for a stocking-stuffer this Holiday season, but for that same price you could get five Sudoku books with more puzzles and some nice wool socks too, all without a cheesy detective story tagged on. While making Sudoku different and adding a special twist to make your game stand out seems like a good idea, Sudoku Ball Detective is ripe with poor execution and just plain bad concepts. The ball layout doesn’t add much to the gameplay, and in some instances can even hurt it. In the end, this is not the start of a new friendship between me and Sudoku after all, but at least now I can say that the puzzles no longer represent an insurmountable challenge for my mathematically challenged head. 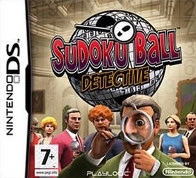 I played the NDS version of Sudoku Ball Detective. It is great!! Very original concept.